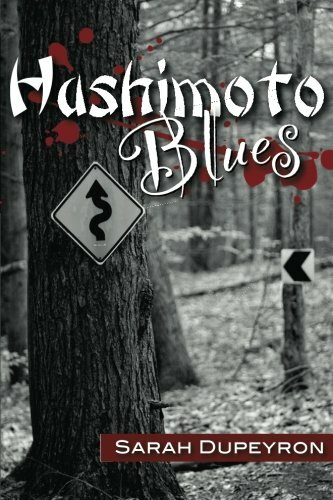 about this book: Hashimoto Blues is about a young criminal named Ellie Fox who specializes in smuggling goods with her ultralight airplane. Smart and capable, Ellie can fix almost anything but her own broken life. When she meets Max, he instantly become her partner in crime. Together, the two of them come up with a scheme to steal a painting from a Yakuza crime boss in Montreal. When the heist goes wrong, they find themselves in very deep trouble, on the run with only the help of each other to survive. I was inspired to write this book when I visited my in-laws. My father-in-law had just bought an ultralight airplane and when we went to see it, his hangar mate had the most interesting little old plane I had ever seen. It almost demanded a story. I started writing as soon as we left the airfield. This book needed a lot of research to write and I had to look up some very odd facts, including the effects of drugs and how to make a bomb. I'm sure I'm now on some sort of terrorist watch list! I mainly wrote this book to entertain and I hope people find it to be a fun page-turner.